A Green Sequin Bow Tie including a Green Bow Tie and matching coloured sequins – Ideal for a Disco theme, or any fancy dress occasion! Add a certain bit of sparkle to any fancy dress look with this fabulous Green Sequin Bow Tie. This amazing Green Sequin Bow Tie comes complete including a Green Bow Tie sequins details and attached elastic. This brilliant Green Sequin Bow Tie features a classic design, with green sequin details covering the bow tie for a glamorous look. 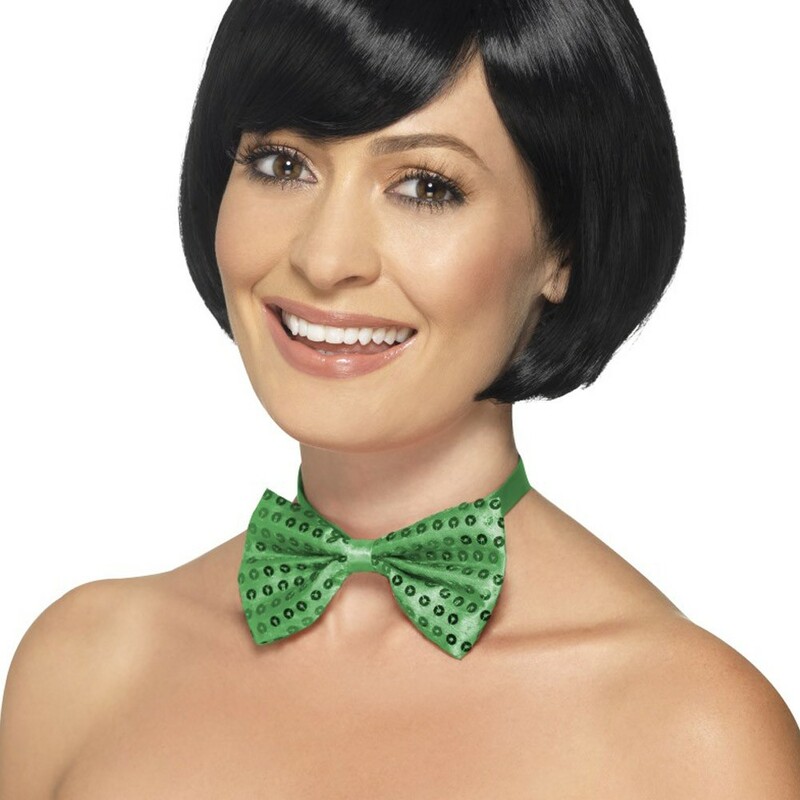 This fantastic Green Sequin Bow Tie also features attached elastic making this accessory easy to wear and use. Make sure you’re show ready with this stunning Green Sequin Bow Tie, whether for a Stage Show theme, Hen Party or Stag do, or any other fancy dress occasion! A Green Sequin Bow Tie.